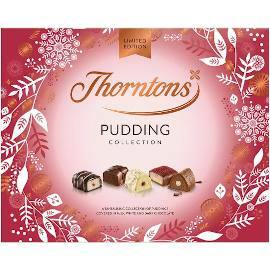 A Christmas classic from Thorntons, liqueur soaked cherries in dark chocolate shells. 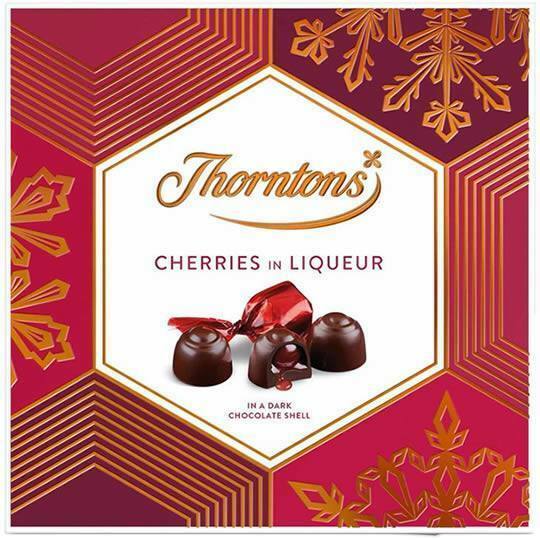 Intensely indulgent whole cherries, soaked in liqueur and covered in a dark chocolate shell, individually wrapped in ruby red paper and presented in a gift box of twelve. 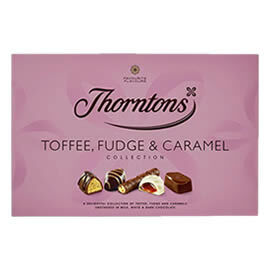 Perfect to gift as a chocolate Christmas gift or to share. 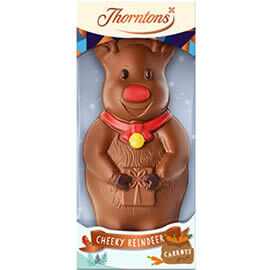 Dark chocolate covered cherries from Thorntons Christmas Chocolate collection. 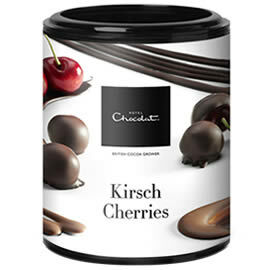 Hotel Chocolat Kirsch Cherries, whole cherries, with the stones removed, softened by a long soaking in kirsch, then enrobed in layers of chocolate. 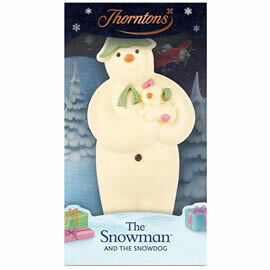 A chocolate model of The Snowman and The Snowdog in white chocolate for Christmas from Thorntons. 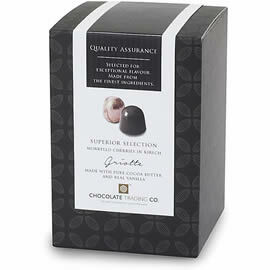 A gift box of whole Morello cherries, soaked for one year in oak barrels of Kirsch, and covered in dark chocolate from the Chocolate Trading Co.